I attended the Inclusion BC Conference this morning. I had the honour of seeing Tamara Taggart, who is a celebrity in the Down syndrome world. She’s a well-know anchor of CTV news who has a son named Beckett, who is seven, and who happens to have Down syndrome. I shamelessly follow Tamara on Twitter and Instagram. I was looking forward to hearing her speak. She gave the sweetest talk – full of love and admiration for her son, and emphasized that he is ‘just Beckett’, and not Down syndrome. Sitting there, I realized how jaded and cynical I have become over the past five years. 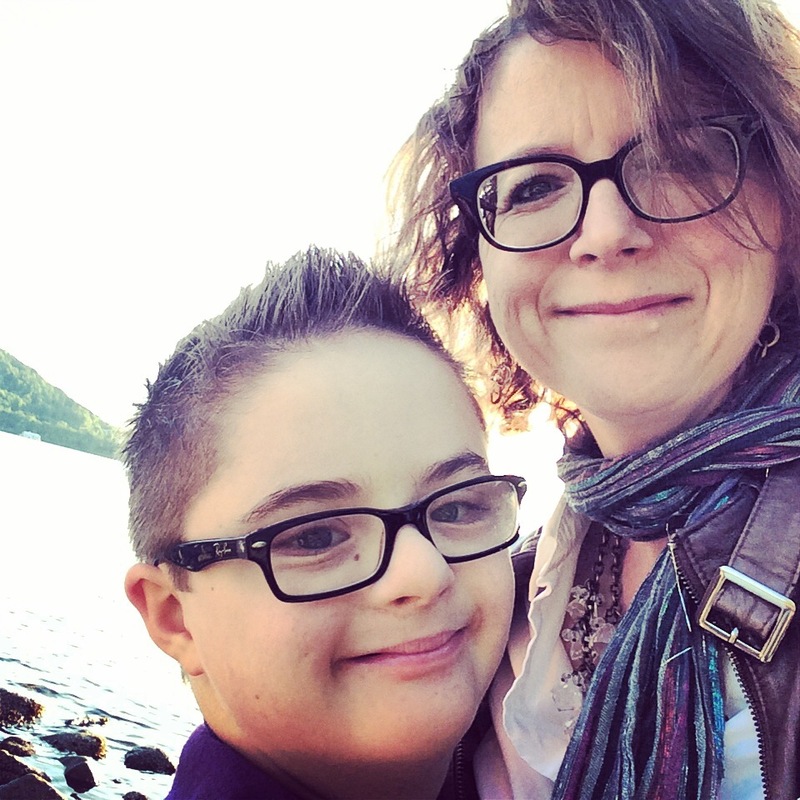 Aaron is now 12, and we had a nice set up in Alberta (school, respite, friends, Down Syndrome Medical Clinic, etc)…and then we promptly dumped it all to follow our dream of moving to BC. We have no set up here, and I am struggling mightily with the systems in BC, which contain an overabundance of wait lists and the impossible need for referrals and ridiculous reports. This has contributed to my recent despair. Tamara reminded me that I have forgotten what is important, and that is my family. For if I am in a continuous state of outrage about the health, education and social services system, I quickly lose sight of that 12 year old dude who is standing right in front of me. I’ve allowed myself to drift further way from what’s important, and that’s the people who I love. Tamara was fresh and passionate in her message. I used to be like that too, until the system starting wearing me down. But it is in my control to get that back. Today, Aaron had Challengers baseball, wandered over to the Trout Lake Farmer’s Market, and had a hot dog for lunch. Then we puttered around the yard, while he diligently vacuumed out our SUV. He rode his new three wheel scooter around the cul-de-sac. Later, Aaron sat draped over our patio chair, telling me how I actually didn’t want to buy a Fiat, but that I wanted a Cadillac instead. ‘Fiats are too small’ he insisted. Tonight we went out for Mexican food, Aaron ate a burrito and snickered about the effect of the beans. Then we drove fast up the Barnet Highway, and Aaron insisted we open all the windows, ‘so it is like we have a convertible,’ he said. We stopped to look at the ducks at Burnaby Lake. ‘It is Duck City here,’ he mused. Later tonight when I ask him if he’s tired, he’ll think for a minute, and say ‘probably.’ Then he will have a shower and get himself ready for bed. Mike will read him a chapter from ‘Diary of a Wimpy Kid’ and they will giggle together before I go in and give Aaron a kiss on the forehead good night. And as simple as that – this is the important stuff. I needed that reminder – thank you. This is lovely Sue. Enjoy. True for every parent — we need reminders to enjoy our kids. Thanks!